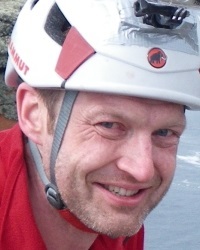 In June 2013 Nick Carter was one of two guides who helped me become the first blind climber to ascend The Old Man of Hoy. Though he could just as easily have led the climb, I asked him to be the guide at my side spotting the holds I missed, keeping me on the right line and in case I�d got into trouble. Having climbed with him before at Moy, Diabaig and Latheronwheel I knew he was the best man for the job. 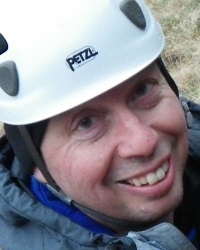 His calm, unflappable nature, quick, clear thinking and overall professionalism make him my first choice of guide. He is also a thoroughly nice bloke who it is a pleasure to share a ledge with. Thank you for a brilliant day out yesterday, I must admit my quads are a bit stiff today. I see that you managed to post a note on your blog, my pictures are too bad considering the weather conditions. I hope you weren�t too wet up the Ben today. Just like to thank you again for a really great 3 days of climbing, and also for being so flexible and in finding rain free venues, I thoroughly enjoyed myself and look forward to climbing with you again in the future. 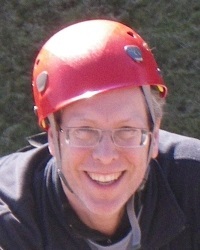 I still can�t believe that we basically had no rain on all our climbing days !! The cd you sent arrived this afternoon with some good photos on it, so thanks for that as well. Got the photos, good reminder of a great week, so thanks very much for all your efforts ... will catch up with you later. Noticed info about Old Man climb on grough, so will watch that with great interest. Thanks very much for a great two days in Lochaber. 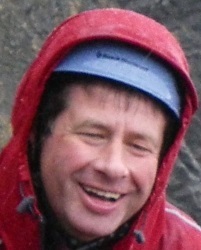 Thanks to you, we managed to do the scrambling and climbing we were after, despite the weather. The tuition on double ropes we just what we were after. 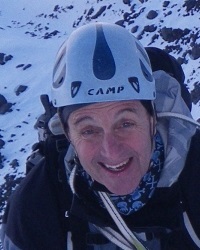 Many thanks to Nick last week for a great time on the Ben. Fantastic that we bagged both this [Orion Face] and Point Five -just what dreams are made of! Thanks for the disc of a million pictures: they are great, especially the ones i didn't manage to take! 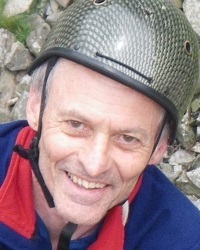 Thank you too for your judgement and leadership, not only while climbing but also the choice of routes and approaches. It is great being in the hills with you: I continue to learn and hopefully improve. I never imagined I would complete routes like the ones we did; and we did them safely and incredibly enjoyably. As I said, the unreachable became attainable; a great series of experiences. 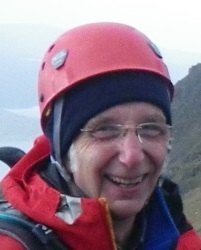 Thanks so much for the CD of photos & videos that arrived so promptly - all part of your 'above and beyond' level of service and a fantastic memento of our mountaineering week. Thanks also for the wide range of experiences you laid on and for being so professional and accommodating, particularly towards the boys. 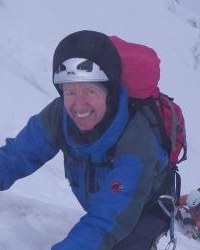 All in all the best Scottish mountaineering I've ever done, albeit partly due to the superb weather you provided! Best wishes, Peter, Twm & David Stone.